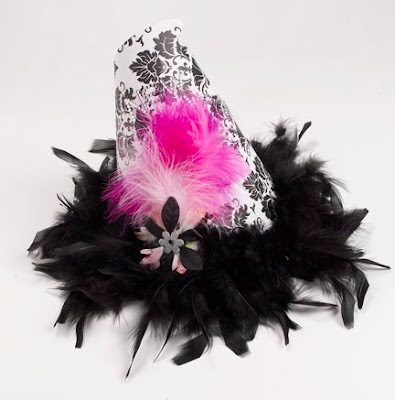 You can custom make your own New Year's Eve party hats with a few simple supplies and some basic hats from the dollar store. I found several different varieties for altering. Happy New Year! 1. Begin with dollar store party hats. Disassemble the hats. 2. To make a glitter hat, paint the hat with the silver anniversary paint. Next, topcoat with three layers of silver extreme glitter. Once dry reassemble the hat. 3. To make a Mop Podge hat, trace the hat shape onto the back of a piece of scrapbook paper. Trim the paper. Apply mod podge to the back of the paper and position onto the cardboard hat. Use you fingers to press out any air bubbles. Apply Mod Podge to the front of the paper if desired. 4. 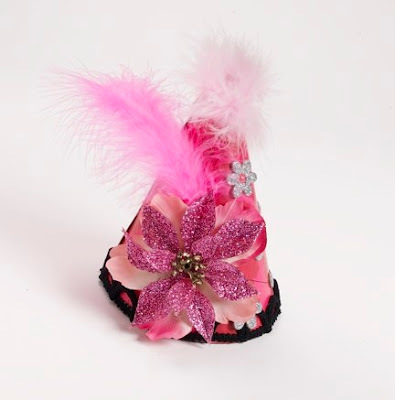 Decorate: Using hot glue, add feather trims, decorative trims and loose feathers to the hats. Add chipboard shapes or rhinestones letters to the hats. Hot glue silk flowers to the hats. Cathie this is such a fabulous way to ring in the new year!! I'll be linking!! 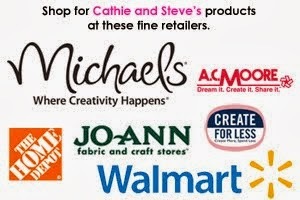 Cathie, Hoot glue? LOL..... I'm going to make these with my granddaughter's (10 & 7) for New Year's Eve. I'm sure we will have fun making them. wow! very cute and festive! 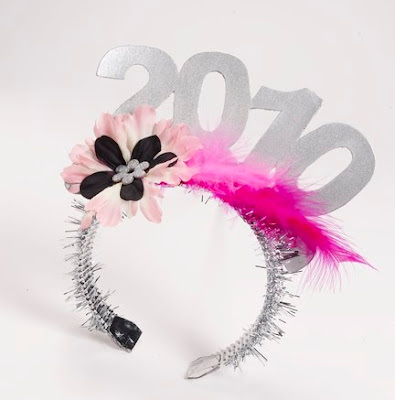 i was thinking about making new years eve hats and now with your great ideas i just might have to! cant wait to look around your blog! Can't wait to see what else you have on this awesome blog! Hi Cathie, these are too cute, so I had to share in my blog! I hope you don't mind. Check out my post. I included your link so that they are directed to your site for your tutorial! !